CRC kicked off the holiday season in Long Beach with our fourth annual Operation Christmas at the Department of Veterans Affairs (VA) Spinal Cord Injury Long-Term Care Unit. Twenty CRC employees, along with their family members and friends, helped bring the holiday spirit by putting up festive decorations around the facility’s common living room area and in each veteran’s rooms. Located on the campus of the Long Beach VA, the Spinal Cord Injury Unit is designed for veterans with spinal cord injuries or disorders who are not able to live independently or with family. CRC continued our annual support of the Huntington Beach Police and Community Foundation “Shop with a Cop” event. 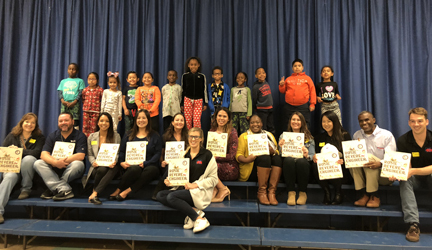 This year, 48 children were selected and paired with a Huntington Beach Police Officer for a $200 shopping spree to buy presents for themselves and family members. The children participating were selected based on need and recommended by their teachers for their outstanding efforts and regular attendance despite overwhelming challenges. CRC’s Santa Claus and Elves Spread Joy at Kern’s Honor Flight Holiday Breakfast. Santa Claus came to town to help Honor Flight Kern County veterans celebrate the holidays – with CRC’s support for the third year in a row. 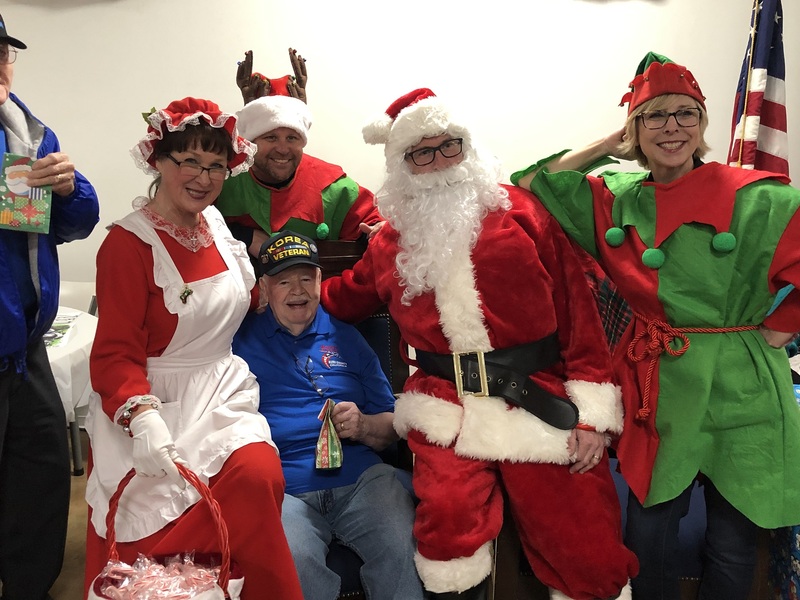 After making his grand appearance, Santa and Mrs. Claus gleefully sprung on stage to And, while waiting for Santa to deliver, all Honor Flight Kern County veterans attending the breakfast received a CRC gift bag filled with holiday goodies. 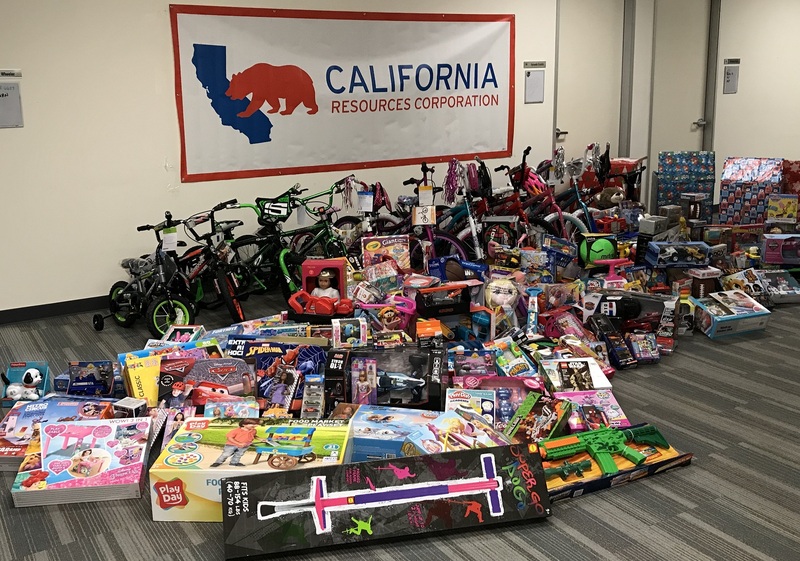 CRC partnered with the California Highway Patrol (CHP) to support the “CHiPs for Kids” toy drive which aims to make the holidays brighter for disadvantaged children throughout California. CRC employees helped by collecting new, unwrapped toys at designated drop box locations at various CRC offices in Bakersfield. Employees were also on hand December 7th to help unload toys at the CHP drive-through collection site in downtown Bakersfield. 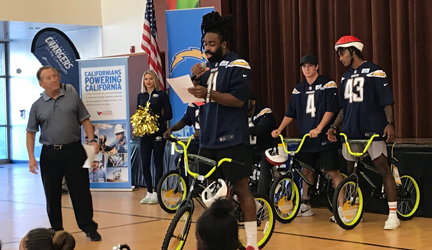 CRC & LA Chargers Surprise Long Beach Kids with New Bikes for the Holidays!